I am an armchair astrologer, meaning I know very little about the celestial bodies. All opinions are my own and they are OPINIONS NOT FACTS, OK? There are some very talented, very well-trained astrologers within your reach if you'd like some personalized knowledge about this topic. That being said, I think Sagittarius folks are some of the most fun, like, ever? They're an office holiday party personified—singular, strange, surprisingly fun, and rowdy. I enjoy you, Sagittarius humans. But you can't be the life of the party all the time. After a while, you need a day of silence and a steady stream of charcoal green juice to cleanse yourself emotionally and physically. That's sort of how this in-between holiday time always feels, too. Coming hard off that Turkey Day binge-fest, we spend the next five weeks rushing to meet deadlines, attend every social gathering we're invited to, and generally overextend ourselves and our bank accounts however possible. Let's retire that narrative this year. At Holisticism HQ, we're more interested in finding equilibrium during the next astrological term rather than trying to be perfectly disciplined. It's almost certain that we'll indulge—in joy, in laughter, in play, in copious amounts of sugar—and that's OK. Admittedly, achieving equilibrium is easier said than done. Like, way easier. Maybe, it's because we look at balance or equilibrium as a singular action. We use the frame of a literal scale—if I go out tonight, I'll stay in tomorrow. If I eat this entire chocolate babka loaf, I'll only eat green things tomorrow. If I power through this all-nighter for work, I'll take tomorrow morning off and go to yoga instead. That sort thinking kind of pushes the pendulum to swing to the extremes, right? Which isn't the point, either. What if instead, we thought about how we could serve every individual dimension of our being (spiritual, physical, mental, emotional) and the centers, or chakras, associated with those dimensions? And if we supported and balanced those individual energetic centers internally, couldn't we argue that it will be *much* easier to maintain equilibrium on the whole? Right? I'm nodding my head, too. Sounds great. So where do we start? Great question. We tapped Lindsey Kimura, a very talented intuitive guide, tarot and crystal reader, and energy healer to help us come up with a card spread that we can use at home to uncover the unique needs of each chakra center in our bodies. 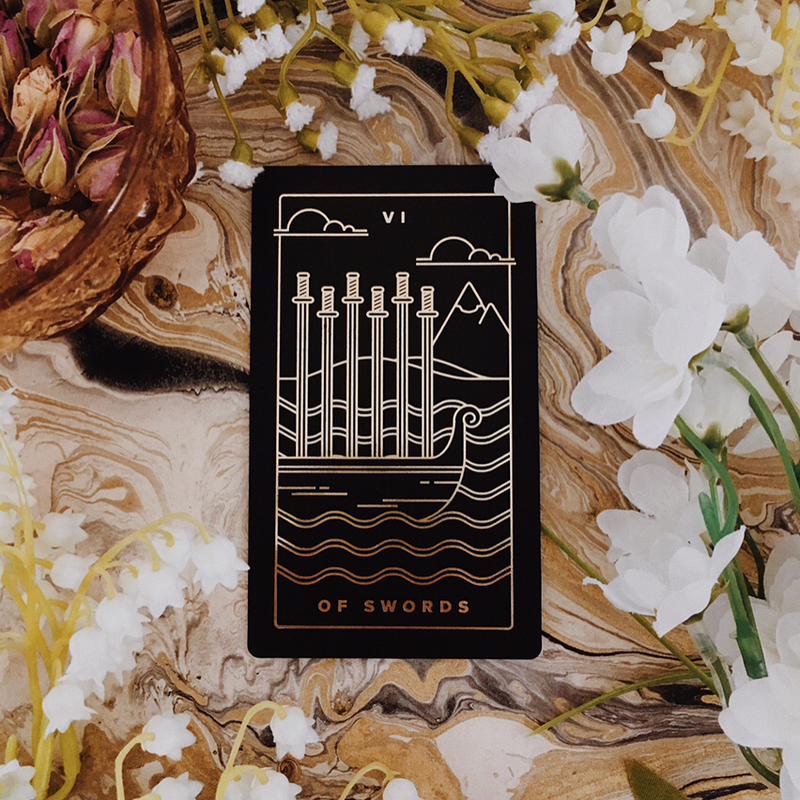 Pull these cards and interpret the meanings for guidance on how to support yourself during Sagittarius season. Below, Lindsey explains a little more about what to expect from this astrological transit. Sagittarius, corresponding to the 9th house and planet Jupiter, is dual in nature. On one hand, it is a time of gentle expansion and organic growth as we rebound and emerge from the emotional depths and revelations of Scorpio. We seek meaning and truth, broadening our horizons through education, learning, travel, and exploration on both inner and outer planes. On the other hand, nights grow longer and we turn attention inward to prepare for winter by storing our energy and resources. This inner exploration is balanced by the force of our outer expansion. The philosophical growth we seek and discover externally reverberates to the inner depths of our being. And the deeper we explore our inner architecture, the greater we can expand and express outward. Corresponding to the archer symbolically (and Temperance card in tarot) Sagittarius energy reminds us that as humans we connect spirit and heaven to matter and earth. Imagine the hexagram, a blend of the upward (spirit) facing triangle and the downward (earth) facing triangle. Returning to a state of balance, centeredness, and alignment allows us to consistently embody and express our highest nature. It is within these dual aspects—fluid yet rooted, passionate while cool, grounded and uplifted—that we create stability. Juggling two balls and holding equally weighted bags on either shoulder creates more balance than just one. This equilibrium or still point culminates at the Winter Solstice. This spread helps us find the key to balance during this season. This alignment will prepare us for the building and planting phase of Capricorn; what we plant in the winter blossoms in the Spring. Therefore, it’s important that we initiate our creations from a centered and balanced foundation. Vertical orientation with five positions starting from top to bottom. Each position corresponds to the five elements/elemental bodies/areas of life. Prepare and clear divination tools. Center and connect. Ask Source, "How can I align and center myself in each area of life? Please provide guidance on what each body center needs in order to return to a state of balance and harmony." Shuffle or mix the tools, and draw one element (card, crystal, etc.) for each position. You should draw 5 total. Interpret each card based on its position in the spread. Be on the lookout for overall themes!